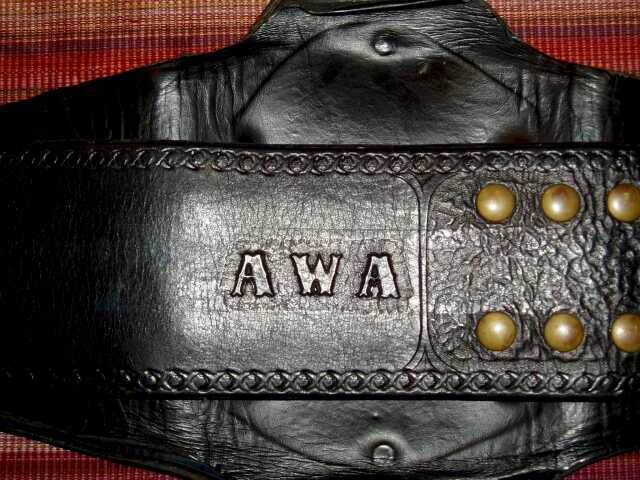 Here are pictures of Dave Millican's original A.W.A. 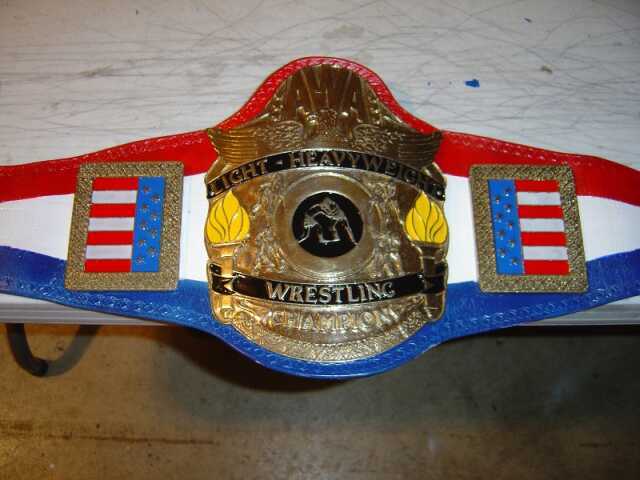 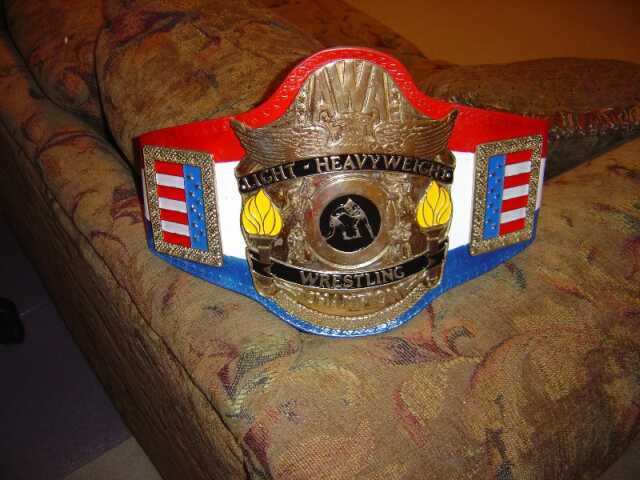 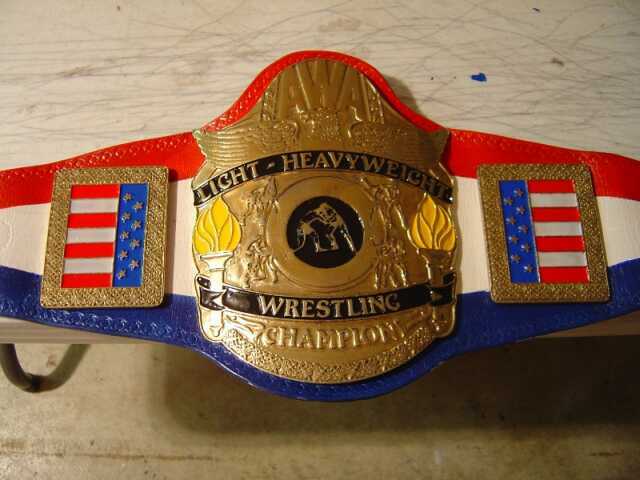 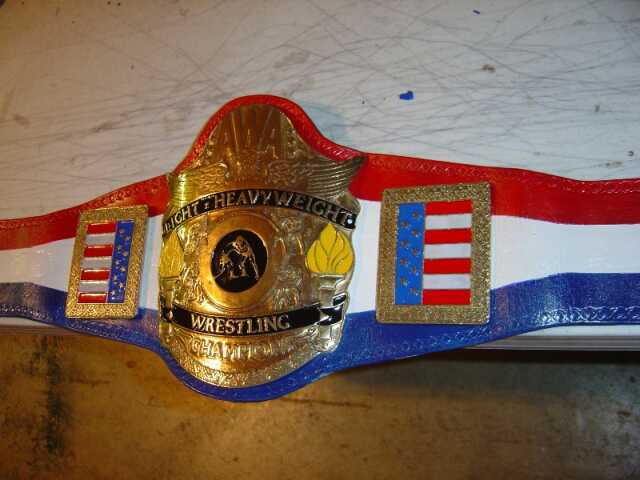 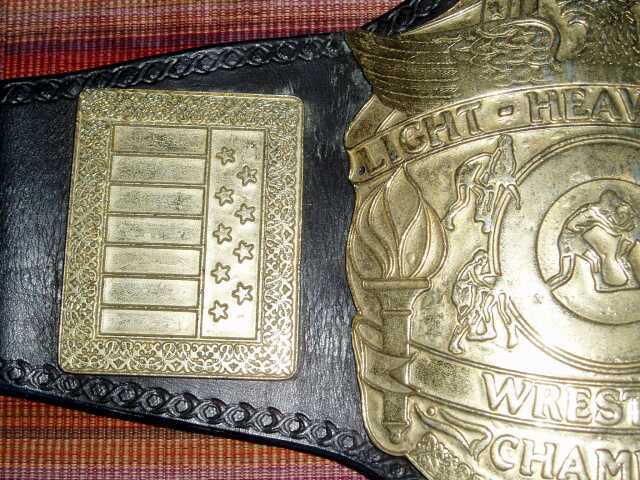 Light Heavyweight Wrestling Championship which was owned by Verne Gange's promotion and made by Reggie Parks. 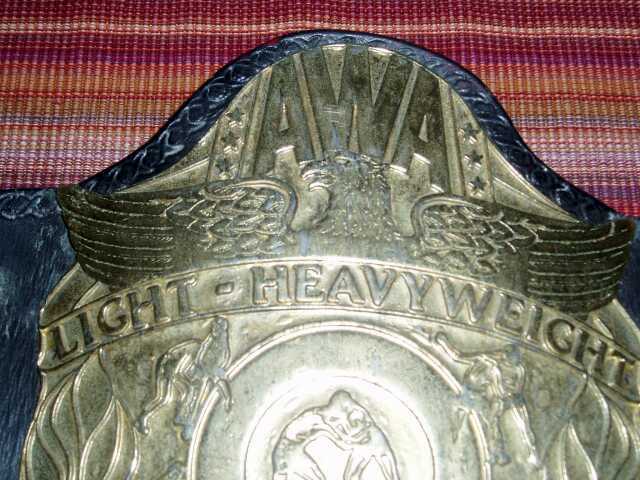 This belt has been obtained by Dave recently with the assistance of Mr. Ed Chuman and completely restored by Dave! 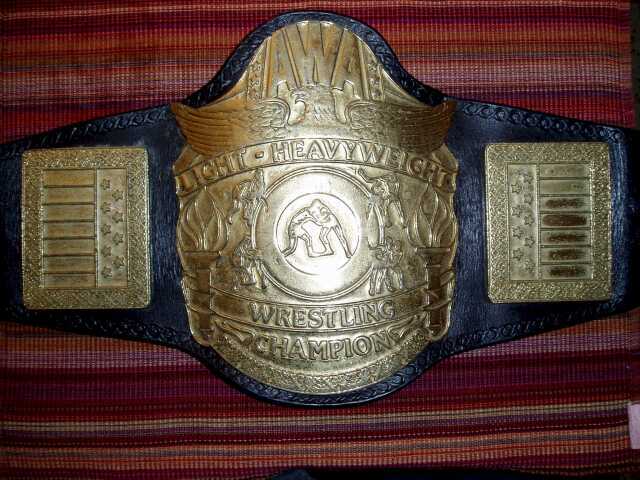 Please see below for original condition of the belt.